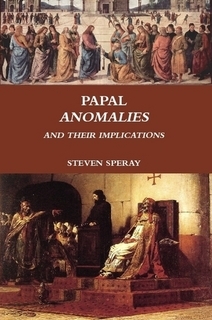 This book takes a fascinating look into the history of the Catholic papacy. I pull no punches as I describe the barbaric and ridiculous affairs found with some of the popes of the past and what it means for the Catholic Church today. You will never see the papacy the same way again! Every argument against the position of sedevacantism has already been answered with historic precedents. Find out what they are and be blown away!